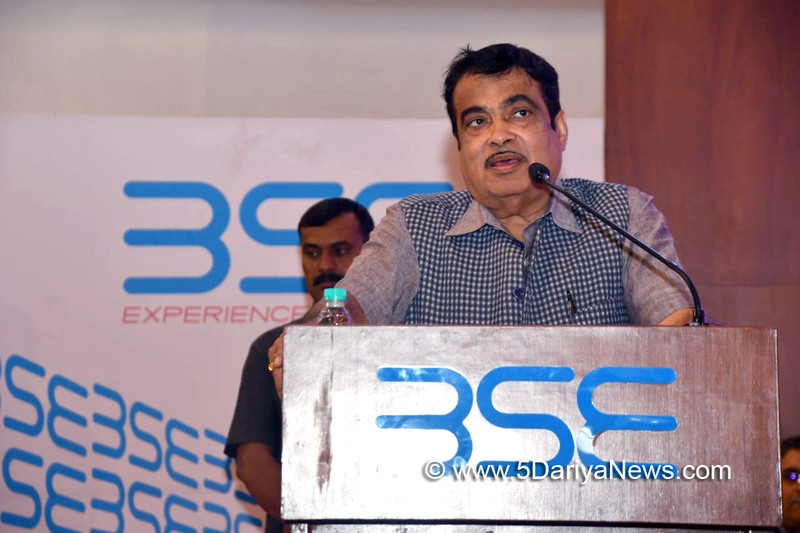 Union Road Transport and Highway Minister Nitin Gadkari on Saturday lashed out at banks saying they are not making financial closures for infrastructure projects worth Rs 2 lakh crore despite a "golden opportunity" and blamed the Reserve Bank for creating "more complications". "One problem presently I am facing is -- We have at least 150 projects with cost involvement of Rs 2 lakh crore. The financial closures in the banks is becoming a very tough thing for the investor," he said at the ET Awards for Corporate Excellence.The Minister flagged the funding problem a day before the Reserve Bank of India (RBI) is to hold its board meeting in the backdrop of a tiff with the central government on several issues including a liquidity crunch and placement of limits on extension of loans on some banks. "It is the appropriate time for the Reserve Bank to support infrastructure in the country as far as growth rate is concerned. But many times the circulars issued by the Reserve Bank are creating more complications," the Minister said. Gadkari said there were 403 projects with a cost involvement of Rs 3.85 lakh crore when he took charge as the minister and his department, which had a good track record, alone saved the Indian bankers from non-performing assets (NPA) of about Rs 3 lakh crore.Further, he said while bankers supported the contractors when they were not in a good position and there were several other problems like land acquisition and environment issues, they are not doing it now when things have improved and there is a good response."... the economic situation is good, the government is transparent, decision making process is fast and it is a golden opportunity for the investors and contractors. I don't know what is the reason that the banks are not making financial closures," the Minister said.Gadkari said if the banks were to support the infrastructure projects, his department, which contributed 3 per cent to the country's GDP last fiscal, would account for 3.5 per cent. "If the banks support me, I am giving the guarantee that my department will make 3.5 per cent of contribution in the GDP. All projects are economically viable, IRR (rate of return) is good but this (financial closure) is the problem," he said.Asked whether he brought up the issue with RBI Governor Urjit Patel, Gadkari said it was not his job and he did not want to meet him due to a bad experience. "My experience is not good. There is no point in meeting him. One should meet those where there is some benefit, some work gets done," he said.